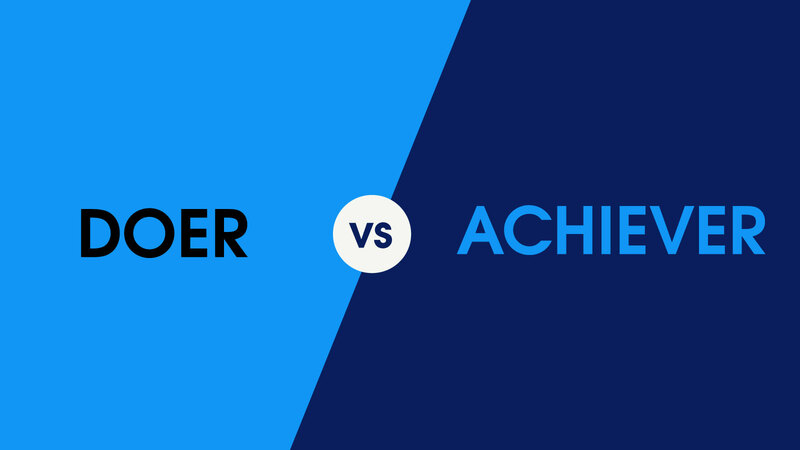 You may have heard it before: Your resume presents you as a doer, not an achiever. It doesn’t sound great, and the fact is, it isn’t. But what exactly does it mean? The doer/achiever language is our way of letting you know that you’re selling yourself short on your resume. It means that you’re not currently showing a hiring manager how valuable you could be — and possibly losing interviews because of it. The Oxford English Dictionary defines the verb “do” like this: to perform (an action, the precise nature of which is unspecified). Based on that definition alone, you can see why you don’t want to present yourself as this on your resume. Let’s face it, performing unspecified actions isn’t going to impress a hiring manager. Technically speaking, we are all “doers” in one way or another; every job entails its list of responsibilities and tasks that need to be completed. Maybe you work in finance and write up reports on major deals made with clients. Or perhaps you work in digital marketing and gather data to present to your higher-ups. However, just because you do things doesn’t mean they should be the foundation of your resume. Quite the opposite, actually. After all, if everyone “does” tasks, simply listing them on your resume won’t make you stand out. Everyone else can simply do the same. So, if listing your tasks and responsibilities on your resume blends you into a sea of doers, how do you grab the attention of a hiring manager? Well, a resume isn’t about what you do, it’s about what you’ve accomplished — what you’ve achieved. It’s not just that you write up those reports on major deals — it’s that you were part of the team that made those deals happen. And while gathering and presenting data show valuable hard and soft skills, those belong in your resume’s Skills section. Use your Professional Experience section to talk about the data itself: the number of followers you gained and the revenue earned from your efforts. When everyone else’s resume rests on tasks and responsibilities, your achievement-filled document will demonstrate your true ability and show how special you really are. The verb “achieve” is defined like this: to successfully bring about or reach (a desired objective or result) by effort, skill, or courage. Wouldn’t you rather hire someone like that? How do I showcase myself as an achiever? We’re taught to be modest — silent, even — about our accomplishments; our mothers always told us that it’s not nice to brag. When it comes to your resume, however, throw this rule away and focus on one thing: how great you are! What changed at the company because of my work? How did my projects impact the bottom-line? How did my work affect the people around me? When did I take charge and show initiative? Still, old habits die hard, and “achiever” language can be challenging to grasp. If you’re not comfortable bragging about yourself, it’s even more difficult. Nevertheless, representing yourself in this impactful way is essential to a successful resume, and it’s not a place you can afford to come up short. That is why enlisting the help of a professional resume writer is valuable. TopResume’s network of expert writers is where you’ll find the people who can take your resume to the next level — from doer to achiever. They’ve written thousands of resumes, and their expertise spans over 65 industries. That means that they know how to write a resume that is not only strong but also highlights the achievements that matter most in your specific field. You’ve worked hard in your career, so don’t sell yourself short in the job search by using the wrong language. Let a professional resume writer put your best foot forward by making your accomplishments shine. Before you know it, your next achievement will be landing a new job. Learn more about TopResume’s professional resume-writing services to help take you from doer to achiever, stat.